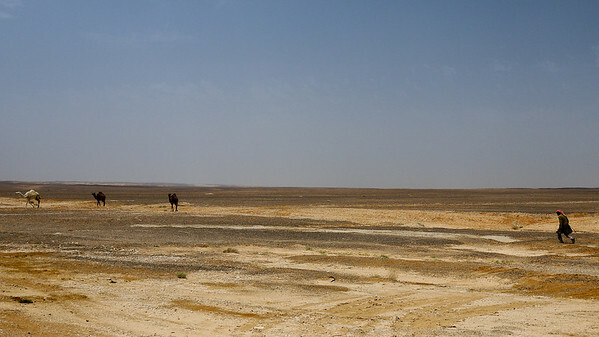 Jordan countryside as we pass through cities. 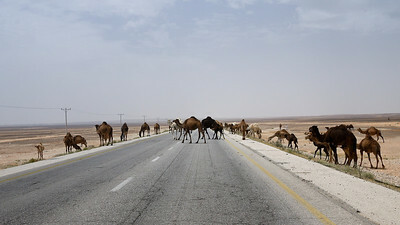 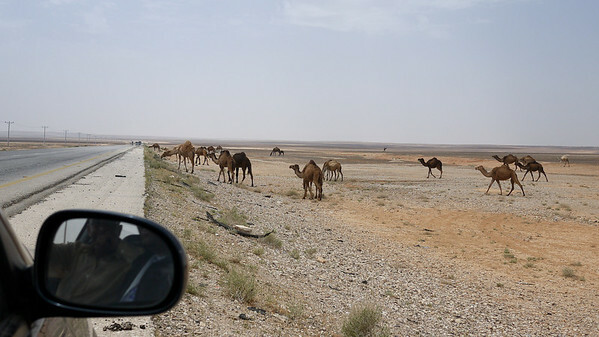 Camels congregate for a road crossing, Jordan. 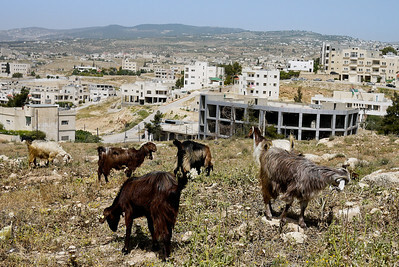 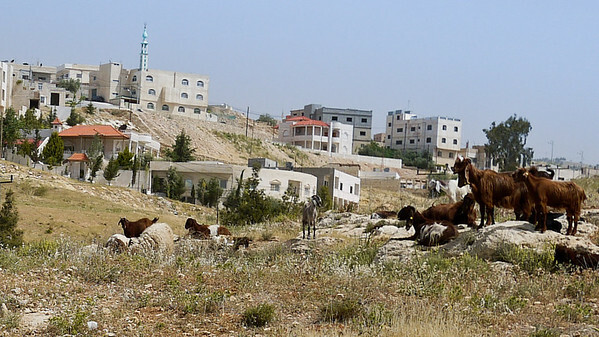 Goats graze on the grasses outside the city in Jordan. 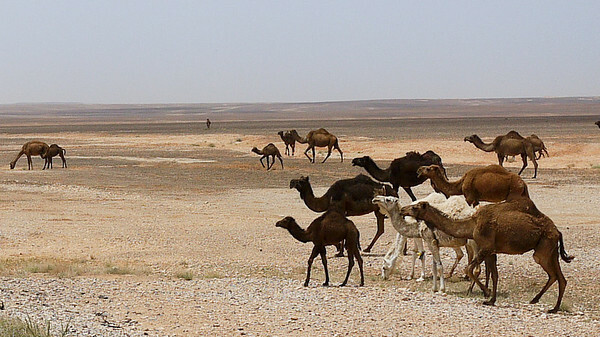 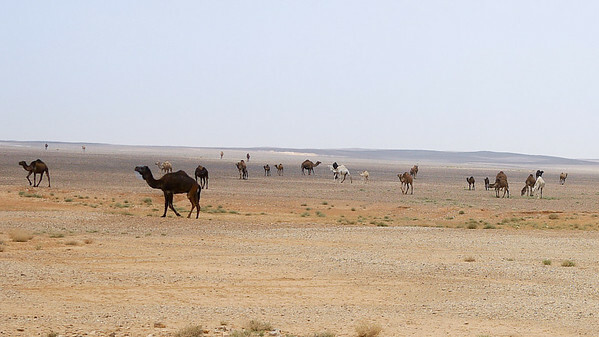 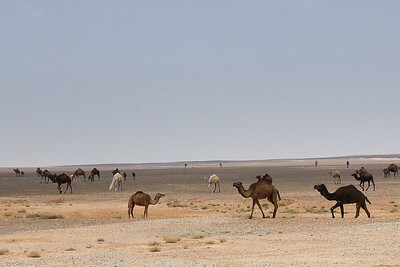 Grazing animals and desert cities. 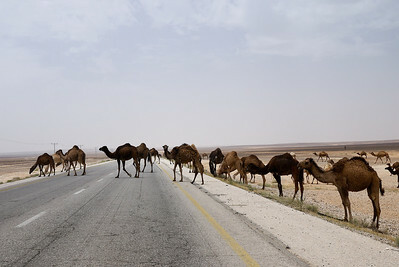 Camel road crossing in Jordan! 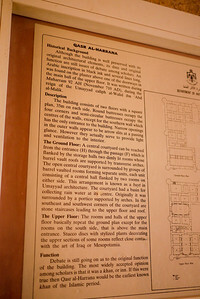 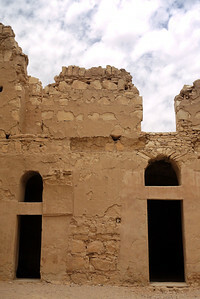 Signage on the desert castles. 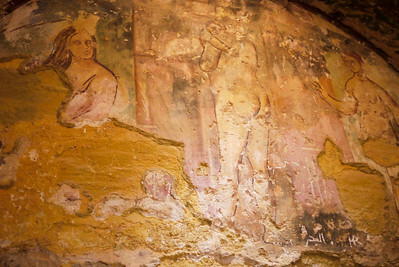 Quseir Amra's gorgeous and detailed fresco. 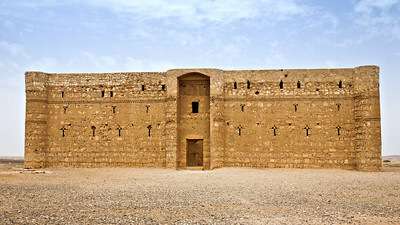 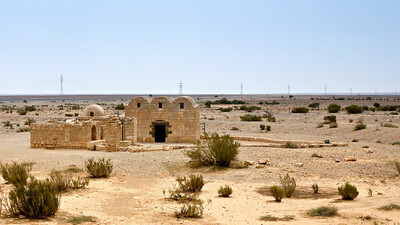 The Qasr Kharana desert castle in Jordan, surrounded by blue skies. 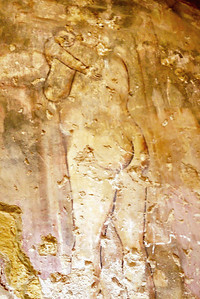 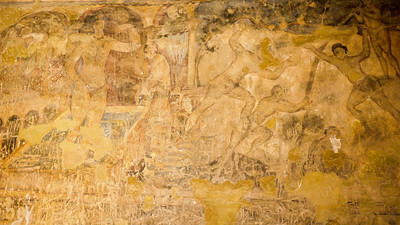 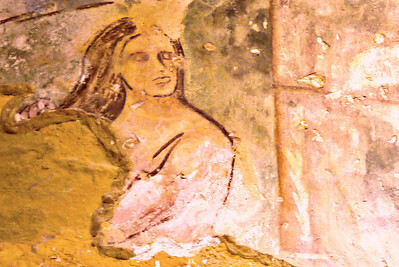 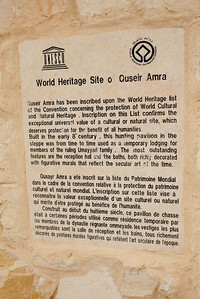 UNESCO World Heritage site, Quseir Amra is filled with beautiful, well-preserved frescoes.